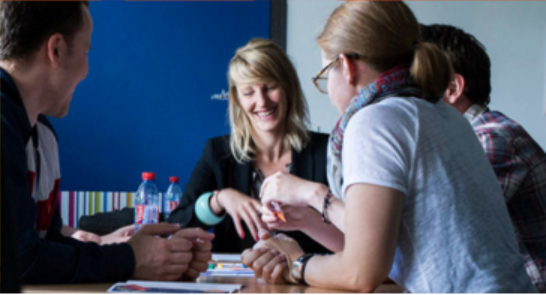 FIAT/IFTA » Apply now for 2nd part of the FRAME course! One of FIAT/IFTA’s main goals is to contribute to the professionalisation of the field of audiovisual archiving. One of the ways to do so is our long standing partnership with INA, the French national audiovisual archive, in the organisation of FRAME, an advanced training course for everyone with a special professional interest for audiovisual archives. FRAME is a 2×1 week programme, aiming at audiovisual archivists and other professionals who wish to expand their knowledge in preservation and access to archival materials. Two sessions of 5 days each focusing on current and future issues of the audiovisual archives management sector are held each year: the first one at INA in June and the second one in another institution in Europe in November. Applications are now open for Session 2 of the 2018 edition, from 5 until 9 November in Dublin, focusing on archive content promotion, documentation, metadata and legal frameworks. This session will include classroom training, practical workshops, experience feedbacks and professional visits.